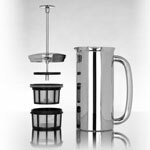 The Espro press is the "better mousetrap" when it comes to the design and implementation of French Press coffee brewing. 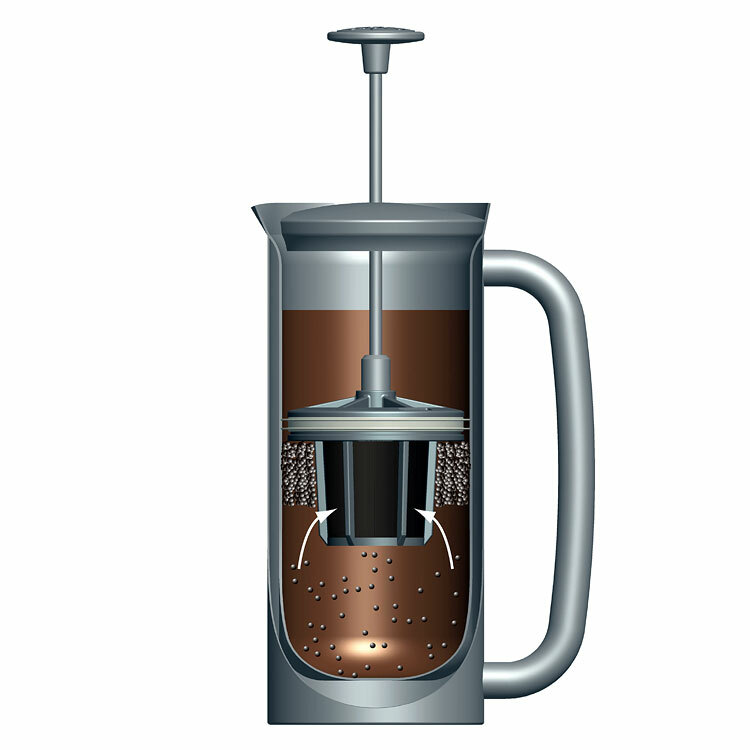 While French Press aka plunger pot brewing is a wonderful method that offers full extraction, it has a number of shortcomings. Espro addresses each of these and then some. 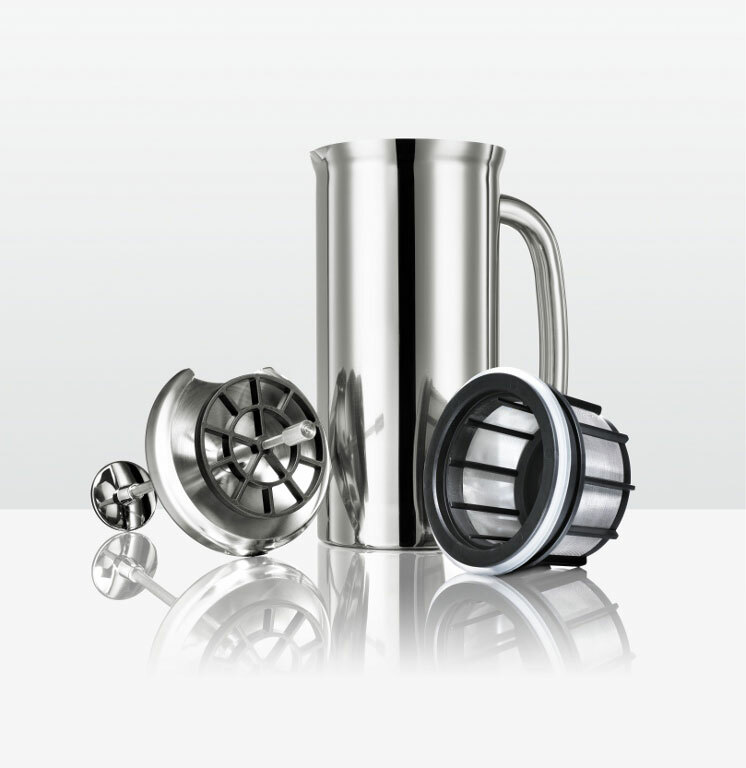 Espro presses are made from double walled insulated stainless steel. Coffee will stay remarkably hot from first sip to last. Expect coffee to remain hot for at least an hour. 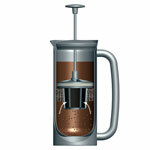 Because of the filter design (see below) coffee flavor will remain consistent throughout. 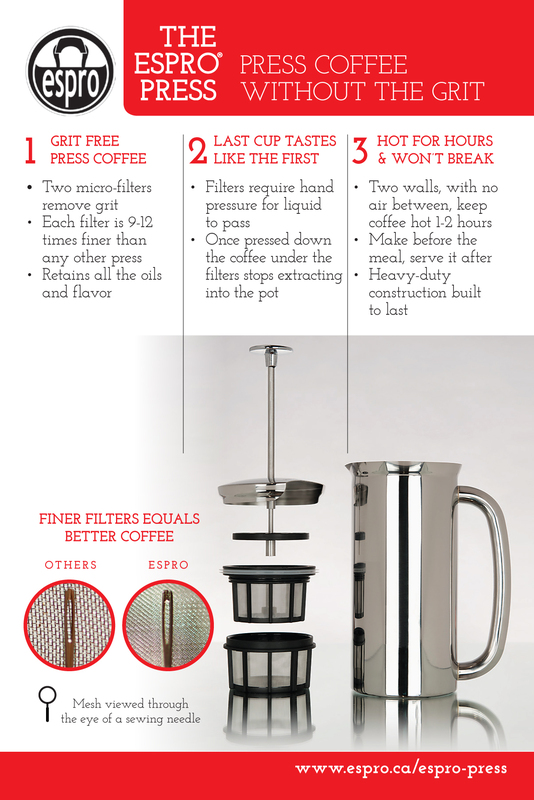 The ESPRO® Press micro-filters your coffee twice, revealing flavor without grit. 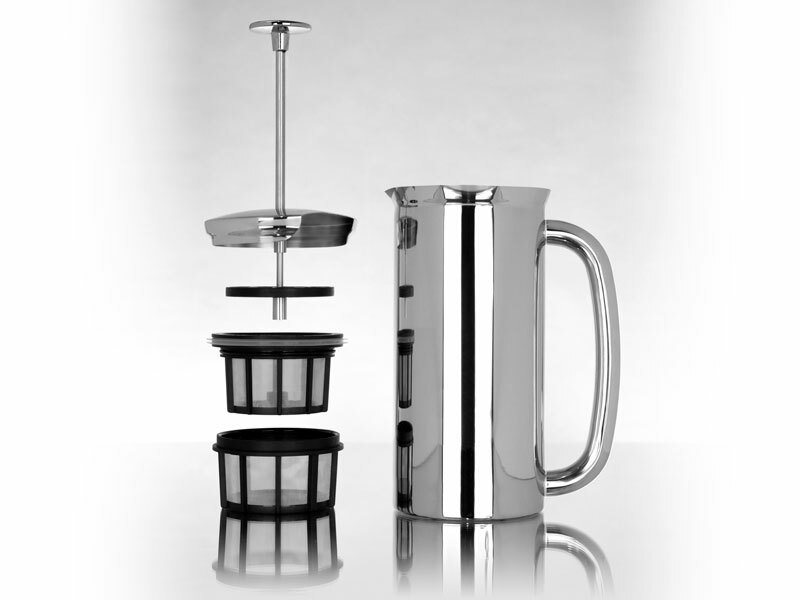 Espro utilizes two patent-pending filters that are 9-12 times finer than a common French Press. They get beneath the grinds and filter twice, leaving all of the flavor and none of the grit. Once pressed to the bottom of the pot coffee grounds are really separated from water so that brew extraction ends. 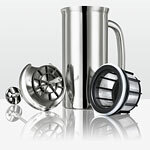 Double filtration leaves the coffee clean, almost devoid of any silt at the bottom of your cup. 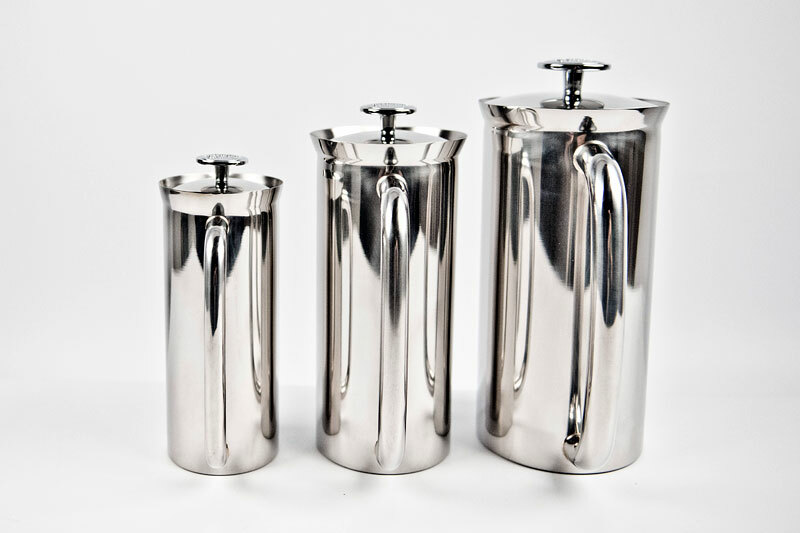 Stylish, polished stainless exterior and satin finished inside, an elegant keynote to any table. No glass to break or replace. Contains two patent pending micro-filters Filters are BPA, BPS and phthalate free, made from USA-manufactured materials in Canada. 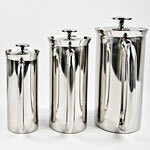 Stainless steel container, double-walled, vacuum-insulated. Assembled in Canada. This product carries a 1 year warranty and a 30 day return privilege if not satisfied.